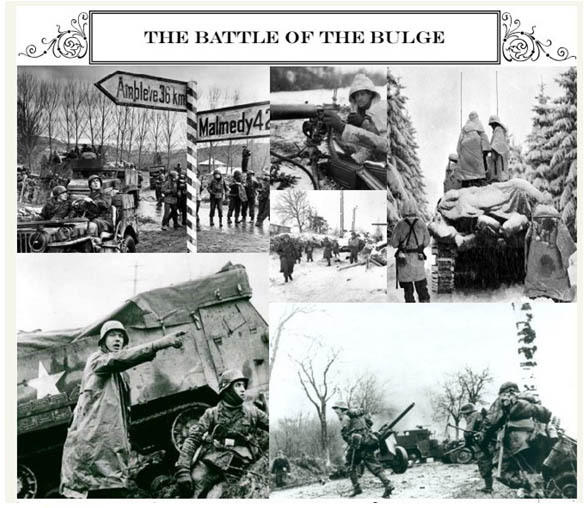 From mid-December, 1944, through January 25th, 1945, the US Army, along with a coalition of allied forces, was desperately engaged in what would later become known as the Battle of the Bulge. Over half a million American forces ultimately repelled a frantic and ferocious last-gasp German offensive, but not before suffering unthinkable casualties, including 19,000 killed. It was the single largest and deadliest engagement fought by the United States during World War II. And so it was that the Menasco Amateur Radio Club of Texas manned a week-long special event operation to commemorate the 70th anniversary of this pivotal engagement, and I was once more honored to man their 40 meter CW station from my QTH in Alabama. I had previously operated special event station N5VET during Veterans Day on behalf of the Menasco Club, but was still unprepared for the outpouring of emotion that ensued during the W2B event. And on and on the emails, letters and calls poured in, to each of the various operators who were part of the W2B event. One remarked that his Dad was continually having shrapnel removed from his body almost until the day he died. Another operator, whose Uncle and namesake was killed in the Battle of the Bulge, remarked that he could barely see through his tears, having been flooded with unexpected memories upon working W2B. Few of us, however, were prepared for the letter we received from Art Mouton, K5FNQ. Art’s Uncle, Lt. 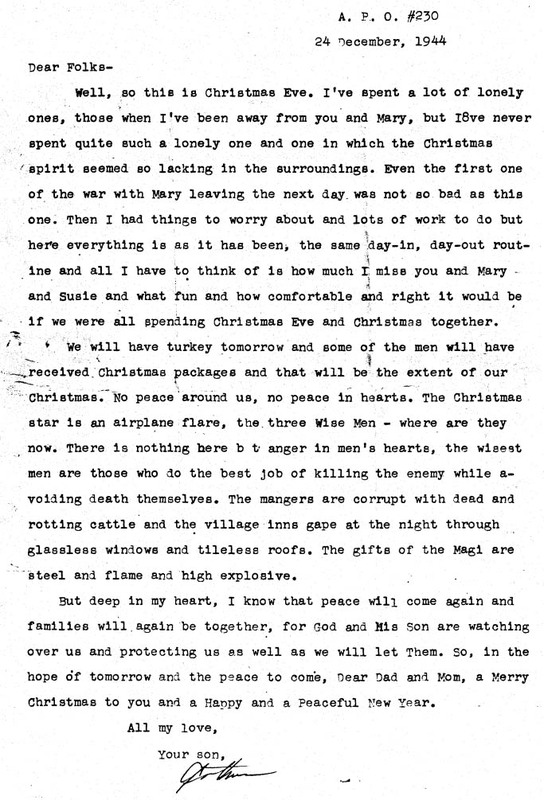 Colonel Art Blair, served during the Battle of the Bulge, and wrote this eloquent and poignant final letter to his family on that frigid Christmas Eve of 1944, prior to his death the following Christmas morning. And we were all profoundly touched by Colonel Blair’s Christmas eve letter. And It was uplifting to know that hope persevered in Colonel Blair’s heart, even during that most hopeless of times, when man’s inhumanity prevailed and all the world seemed consumed with hate. So inspiring were his words that we shared them on the W2B QRZ page. And then another letter arrived. I came across your W2B website when I was researching my Grandfather’s history from World War II. 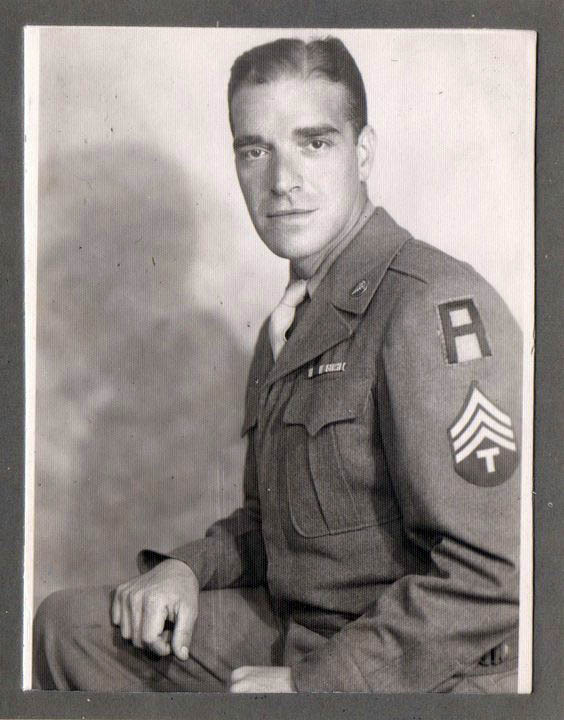 My grandfather, Charles F. Ziniti Jr., was a medic in the 268th Field Artillery Battalion. According to his notes he tended to Col. Arthur Blair whose letter is posted on your website. KIA Shell Fragments in chest. “Our objective was to get back to our outfit, I mean, not to our outfit, but to, you know, the 32nd , ah, Artillery Brigade, Heavy Artillery Brigade it was called – 32nd Heavy Artillery Brigade. To fight in conjunction with our comrades in the other, [ah, heavy artillery brigades. So, incidentally, you can put down, incidentally a lucky, for a German, artillery shell exploded on Christmas morning in the midst of, wishing, of, of, Colonel Blaire wishing the officers and the men of the 268th A. Bn. a Merry Christmas. It resulted in the death of Colonel Blaire and four of five other officers, and, who were wounded, and died of their wounds within a couple of days.” The death of Col. Blair is very sad indeed. And so we learned more of the circumstances of Colonel Blair’s passing from the brave soldier who was the attending medic on that forlorn Christmas morning. In a world sorely in need of hope and compassion, it was that very message of good cheer and fortitude which Colonel Blair was surely sharing with others when German artillery found its fateful mark. And it occurs to me that Amateur Radio serves to impart goodwill and hope each and every day too, not unlike Colonel Blair’s Christmas morning assembly. Without regard to creed , ethnicity or station in life, each 73 sent over the airwaves is given purely and freely from one to another in the genuine hope that ‘best wishes’ befall the recipient. May we all strive to become ambassadors of hope and peace during this coming new year, and all the years to follow.